A Minneapolis couple leans on wanderlust, persistence, poetry and science in their search to view the aurora borealis. It looks like space algae, drifting in a celestial tide. But technically, that’s star plasma: bitty particles emitted from the sun and colliding with Earth’s atmosphere (seen framing Michigan’s Mackinac Bridge, below). However you spin it, the aurora borealis looks like a sci-fi dream. One that’s worth losing sleep over. And that’s typically what it takes to catch a glimpse. Bev and Al Kiecker of Minneapolis started chasing the northern lights post-retirement, fired by a love of photography. Al’s degree in physics helps. But the pursuit leans on wanderlust, persistence and poetry just as much as science. While alien green, yellow and violet skate across the Northern Hemisphere year-round, sightings are most common December through April, due to winter’s long nights. The lights are most brilliant and frequent far north but can creep down to Ohio, Iowa and Nebraska. The trick is aligning strong solar winds with good viewing conditions—clear night sky, no full moon, minimal city lights. The Kieckers subscribe to solar notifications and have go-to spots: Wisconsin’s Crex Meadows State Wildlife Area; Lake Superior’s North Shore; Ely, Minnesota. Out of 10 trips, they’ve caught the lights a few times. Their strategy is simple. Learn to enjoy the hunt. Keep a bag packed. Then wait for a push alert. Tonight could be the night you jump out of bed and start the chase. 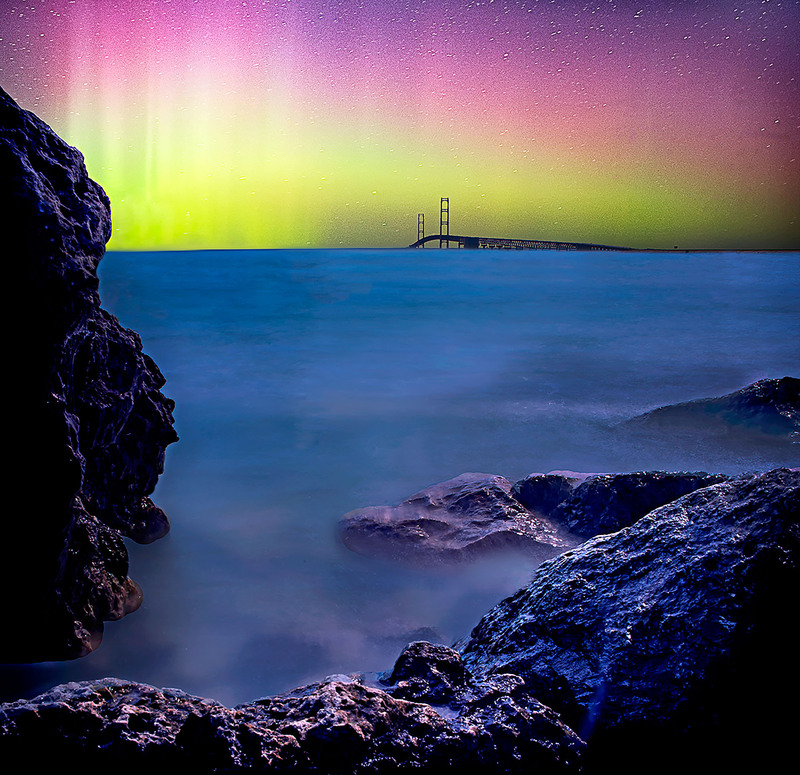 The Facebook group Great Lakes Aurora Hunters has more than 38,000 members. Join for northern lights photos, forecasts and real-time tips.